Following the renovation of the old tomato factory and the successful launch of the Santorini Arts Factory in Vlychada, it is worth looking back on the industrial past of the island. Wine and tomato paste production was the basis of the economy of the island in the 20th century, long before tourism came. Even after World War II, the tomato paste factories functioned daily and a large part of the population worked there. Gradually, however, and especially after the devastating earthquake of 1956, the factories were closed and abandoned and the cultivation or production of tomatoes decreased. The 9 factories and especially their chimneys which can be distinguished from far are an excellent example of industrial and local architecture of the time and cause the visitors’ admiration. Look for them on the coasts of Vlychada, Perivolos, Kamari, Monolithos, Kanakari and the Old Port of Fira. 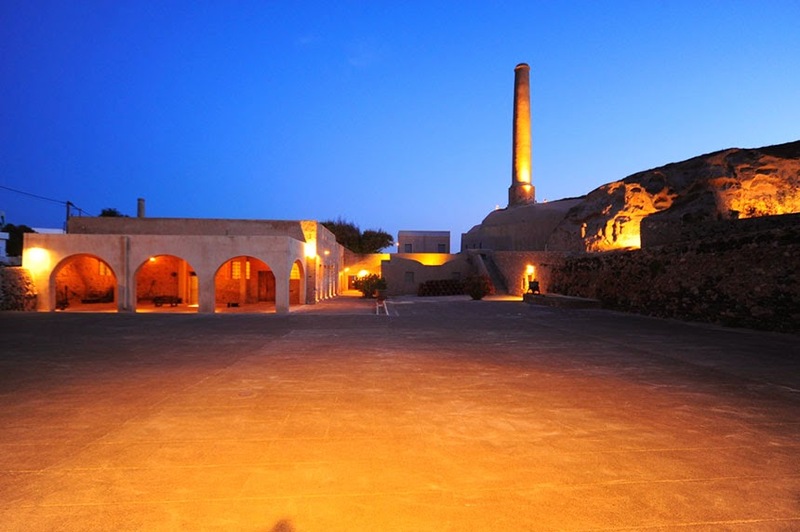 In recent years, ​​several efforts to restore the old factories have been made, like the factory in Vlychada, open to the public daily from 10.00-19.00. The cherry tomato cultivation is also encouraged, so its production has doubled in the last 4 years!